From the Burbs to the Boonies: Bloggers are a supportive group! Thank you! Bloggers are a supportive group! Thank you! There's a wonderful phenomenon among bloggers. We're pseudo strangers, have never met "in real life," yet we do little things to lift each other up in support. We give advice and answer questions on technical and content issues. We share each other's posts on Facebook and Pinterest. We collaborate on blog hops, link ups and giveaways. We interact daily and help motivate each other. Well, as a blessed recipient of Blogger World Generosity, I get to report three additional award nominations. Bloggy awards are so fun. The recipient links back to the person who nominated them, tells a little about themselves and then points to other blogs they like. 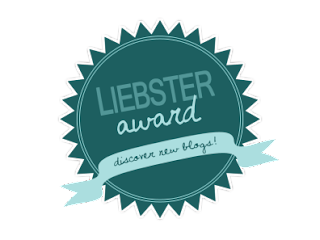 The first is The Liebster Award (I wonder who Liebster was?). This one was kindly given by Michelle at The Paper Vine. Michelle's blog is a wonderfully crafty place where you can learn so much about digital scrap booking. She even offers a class on it as well as free downloads. I am truly in awe of her creative abilities. Go check it out! Thanks so much for this nomination, Michelle! Stephanie's blog is also very creative. Reading what she writes (as well as Michelle above) really makes me want to find time to do scrap booking. She has amazing ideas and beautiful layouts. Please take a moment to see what I mean. You won't regret it. And Regina just opened an Etsy store for her handmade jewelry and scarves. She creates the most beautiful things. She also blogs about weddings and homemaking and family. I have learned a lot from reading her posts. 4. List bloggers (one says list 10, the other 11) that you believe deserve some recognition and a little blogging love, usually newer or up-and-coming blogs. 5. Let all of the bloggers know that they’ve been nominated. I only chose a few since I had nominated several before here and here, and because I know a lot of the blogs I follow have been nominated by other people. So I am nominating blogs I have recently come to know. All of these blogs are fun and fresh and offer something unique. 1. What’s your favorite meal of the day — breakfast, lunch or dinner? All of them! I get hungry A LOT, really hungry. Hubby comments on it, even, so I need them all. 2. What’s your favorite fruit? Blackberries, I see them as a treat. 4. What quality do you find most attractive in others? Upfront, straightforward honesty. 5. What’s your favorite sport? Soccer cuz my kiddo likes it. 6. Gold or silver? Silver! 7. What’s your favorite candy? A Zero candy bar and/or peanut butter M&Ms. 8. What’s your favorite online shopping website? Amazon, hands down fav. 9. What’s your pet peeve? When people leave shopping carts in the middle of parking spaces. ERGH. 11. How many pairs of shoes do you have? Oh a good 12, it's Kansas so you have to have sandals for summer, boots for all kinds of winter weather, tennies for bike riding and walking and playing soccer, a few dressies and a few middle of the road for spring and fall. 1. I can make an origami bird that flaps its wings in under a minute. 2. If I ever went back to school I'd want to work with children or computers. 3. I don't want to ever go back to school as I've been to four colleges in my life. That's enough! 4. Kohl's is my favorite in-store shopping place. They have the BEST deals. 5. Chips and salsa are my favorite foods. 6. I talk to my mom several times a day most days. 8. I love "Triple D" also known as Diners, Drive-ins and Dives. Super awesome show, usually lulls me to sleep. 9. I remember the moment I began to worry about the environment, the actual moment. I was fishing with my then-fiance (later ex-fiance and now husband, very confusing) about 22 years ago. We were at the spillway of a lake and I saw trash floating by and it made me sick to my stomach. I never littered again. 10. I have a strict no littering rule with my kid too! I think a person should take care of their own mess. 11. I think dolphins are as smart as people :) Seriously, have you ever read the stories of what they can do? They also are one of the few species to recognize themselves in a mirror. Check it out. They're amazing. Here's a cool CNN video too. Side note: It is my super pet peeve if someone says a dolphin is a fish. I randomly ask Brady: "What's a dolphin?" To which he hollers back: "A mammal!" I have a VERY strict no littering rule too! We often pick up trash wherever we go. My kids just naturally do this now. Congratulations on all your awards Stephanie! You are a great blogger and person. I'm glad to be one of your blogger buddies. Littering drives me crazy! I tell Brady whoever makes the mess should clean it up. It's just courtesy and being responsible! Thanks, Missy, I think the same of you :) I'm very lucky to have made such nice friends in the blogging world. I love learning more facts about you. I also talk to my mom numerous times a day. I also have a confusing almost fiance, then ex than hubby too! We might have more in common then we think! Thanks, Jill! It's so fun when your mom is your best friend and I had no idea you had a complicated marriage story too :) Those are also fun, well after the non-fun breaking part, ha! It really is amazing how supportive bloggers are of each other. Congratulations on your well-deserved awards! Thank you, Cindy. I really was so surprised about how everyone helps and supports each other. We need that more IRL! Awesome! Congratulations on your awards. And thank you for mentioning my blog. I love learning more about you. I believe that bloggers are some of the most caring, giving people I have ever encountered, especially, as you said, since we have never met each other. It is great to be part of such a wonderful group. I love it. Thank you, Regina. It was awhile back that you posted yours but I wanted to share it. Bloggers must by nature want to connect and uplift. It really is wonderful. Thanks Lorelai! I love yours too :) I actually like all the berries, but just picked one. Bloggers are great! Congrats are doing your post. I've been nominated I think 3 times for some award (I think the ones you got), and never got around to posting about it--plus I didn't know which blogs to nominate. So good job! Oh, you should do it! Believe me, this was no timely post, ha! But I really wanted to recognize what the other bloggers had done. There are so many great blogs out there. I kind of googled the ones I was thinking about along with Liebster and Sunshine to see if they'd already been nominated. Thank you, Amanda (and Madison! ), I think the same of you. I love your random facts! I keep hearing Kohl's has great deals, I need to put it on my go-to place for shopping. I'm tired of hearing all the good deals people got and me missing out! 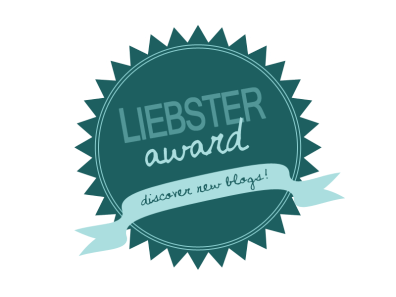 Thank you so much for the Liebster award! That is sooo nice and thoughtful of you! Kohl's rocks! It's been my favorite for years. My MIL got me a $30 gift card for my bday and I ended up with, I think, a dress, 3 shirts and an earring/necklace combo and spent $4 out of pocket. LOL, good timing! It was well-deserved. I saw that after I had nominated you. 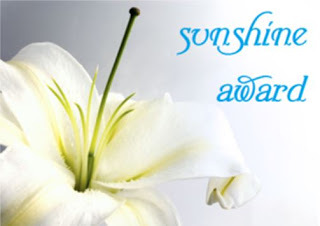 The same happened to me the day before I posted about the Sunshine, a 2nd person had nominated me too. It does make a person feel good to be recognized. Rice krispie treats & free book? Double score!